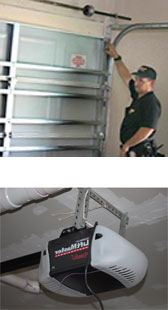 We are a garage door repair company in Sacramento CA. With 20+ years experience. We are located downtown at 725 J Street. Call Today and see how we can save you money on your garage door repair service. We offer Same Day service at our already low prices, this is what you can expect. We would like to invite you to call some of our happy customers and see first hand so please ask for references. Also, ask for a tour of our local door factory! Check out our custom hand crafted doors. They are made right here in Sacramento! Ask John for a tour. New Door Special - Wayne Dalton 8000 series steel door includes installation for $589.00. Amazing customer service. I am either really lucky or all garage door repair shops are this good. When I called to get a quote to repair a broken spring John, the owner picked up. He was quick to give me a quote and also a couple of suggestions on where to get other legitimate quotes. Basically with no hidden fees attached. I knew I wanted John as his estimate was great and I felt I could trust him. The total cost out the door was $149. I highly recommend John. Recession Special Offer Ask for ongoing special offers. We even offer free estimates and same day service. Just one call will get a free quote. So call today and see how we can help. Contact John at 916-282-4720. What are the benefits for replacing my garage door. New insulated garage doors will reduce outside noise and keep anything stored inside cleaner. Improve the look and add value to your home. More secure than older doors helping keep intruders from breaking in. We are now offering lower cost spring repair. We are buying torsion springs in bulk and passing the savings on to you, our customers. We have a huge stock of torsion springs just in case yours needs to be replaced quickly. All spring repair is guaranteed and we recommend replacement to be installed by a certified professional. Spring repair can be a dangerous task if your not aware of the hazards it imposes. Please call us if you have any questions regarding spring replacement before you decide to attempt it yourself. Single Spring Replacement - $149 Out the Door. Double $195 (No hidden fees). Measuring your garage door before a service call can save you time and money. We have a simple printable form to help you measure the necessary dimensions to speed up your door replacement or repair. Now Offering Emergency Garage Door Service in the Sacramento County Area. We have been getting a lot of calls requesting emergency door repair and wanted to address this issue. We have recently moved to a new office specifically to make sure your service is fast and reliable. This is an important step we are taking to insure the safety of all our current customers. We recently arrived at a service call to find one of our customer had injured himself trying to remove a broken spring. If we could have got there quicker this could have been prevented. 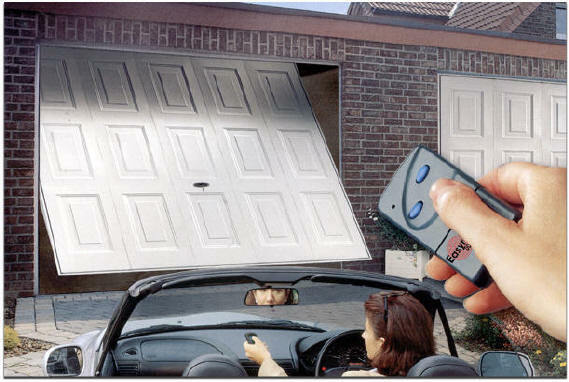 Garage doors are heavy and require high tension to help balance out the weight of the door. This tension found in the spring assembly is a primary safety issue and recommend you call our emergency service for help. We promise to get out to your location quick enough so you won't be tempted to fix the garage door before we arrive. Commercial overhead roll up door repair. Has your garage door spring snapped and needs repair or replacement. We have a huge stock of garage door springs in Sacramento just in case yours needs to be replaced quickly. All spring repair is guaranteed as our materials are the highest quality steel made to handle commercial applications. Is your commercial overhead rollup door hard to close, or can’t seem to get the door open. We can get your door repaired in no time for a reasonable price with no up selling. We will inspect your door to make sure the work performed will last and will return at no charge if there is a problem with our work. All work is guaranteed so give us a call at 916-282-4720 and ask for John. Garage Door Repair Sacramento is offering overhead door repair service for businesses and homeowners with these types of doors. Overhead doors have specific problems and we now have a specialist on hand that focuses on the specific problems that are needed to keep these doors working. A fine example is the rollers used on overhead doors need to be of a higher quality and sometimes a synthetic roller is necessary over a metal roller assembly to prevent premature failure of the railing system.